The Texas Health Hospital being constructed in Frisco, Texas, will be much more than a typical hospital. It is referred to as a medical campus because it will have a hospital and medical office building and it will share the site with Texas Health and University of Texas Southwestern Medical Center. The sprawling campus will bring an acute care hospital and multispecialty clinic complex to a rapidly growing part of Collin County. The $270 million project launched last summer and clinical services on the campus are scheduled to start before the end of 2019. 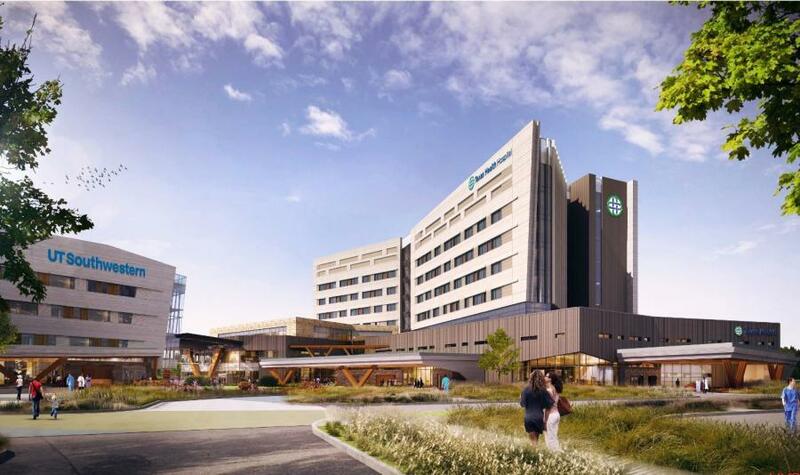 Located on 20 acres off the Dallas North Tollway in northwest Collin County, Texas Health Frisco will feature a 325,000-sq.-ft., 80-bed acute care hospital that will include a 24-7 emergency room, surgical services, women's services and a neonatal intensive care unit. A parking garage and surface parking lot also are being built. The garage lot will have decks with 600 parking spaces. The surface lot will have 336 parking spaces. The hospital is being built on a vacant lot, formerly used for farming. The site is adjacent to an existing neighborhood. "We have some plans in the works to commemorate the legacy of the former farm on the campus," said Larry DeBoever, senior strategist video content for Texas Health. "We also have developed a strong relationship with the homeowner's association of the neighborhood adjacent to our property." The 120,000-sq.-ft. medical office building will house primary care practices and a multispecialty clinic. Offering this broad range of clinical specialties in one location will bring comprehensive health care to Northwest Collin County. The hospital will operate with an open medical staff model, composed of independent physicians, UTSW physicians and Texas Health Physicians Group providers. 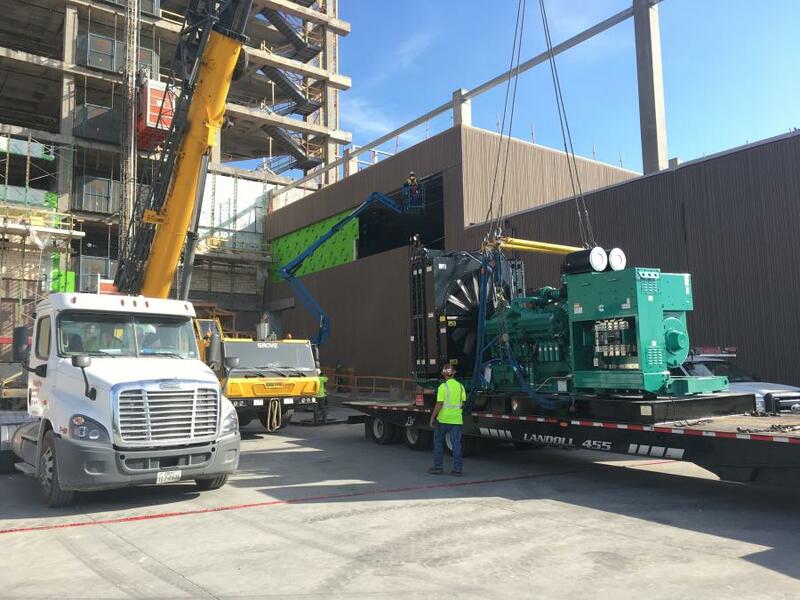 "Texas Health works with consumers both inside and out of the walls of our hospitals to help them lead a lifetime of health and well-being," said Barclay Berdan, CEO of Texas Health Resources at a ‘topping-out' event for the new hospital. "Here in Frisco and its surrounding communities, there is a critical need for acute care hospitals that focus on excellent care and an unmatched patient experience, providing services North Texans need close to home. The UT Southwestern physicians, Texas Health Physicians Group doctors and independent physicians will drive the excellent care that will be provided"
The medical staff will be comprised of local independent physicians, University of Texas Southwestern faculty and Texas Health Physicians Group providers. The hospital, which is designed to expand to 140 beds as the community continues to grow, complements the more-than-350 access points of Texas Health Resources, the largest nonprofit health care system in North Texas. 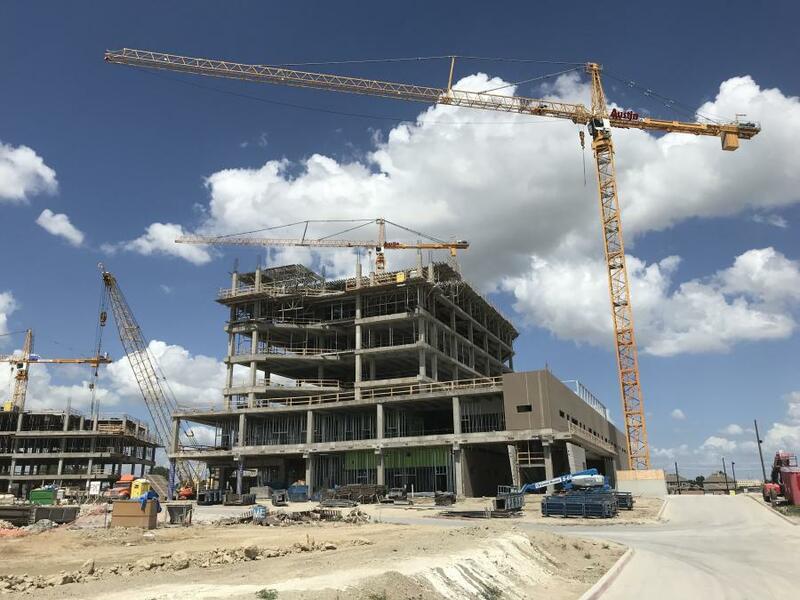 The University of Texas Southwestern Medical Center at Frisco medical office building will house a multispecialty clinic that includes an extension of its Peter O'Donnell Jr. Brain Institute, providing neurology, spine surgery and a concussion rehabilitation facility. The Harold C. Simmons Comprehensive Cancer Center will offer programs in breast and colon cancer screening and treatment. Pediatric specialty services will include ophthalmology, otolaryngology, gastroenterology and dermatology. A large part of the first floor will be dedicated to physical medicine, rehabilitation and therapy, with an emphasis on restoration of function and enhancement of performance for neurologic, orthopedic and other conditions. Austin Commercial, based in Dallas, Texas, is general contractor for the medical campus project. The contractor is one of the largest, most diversified builders in the United States. The project features 58 subcontractors under contract with Austin Commercial. They include Prism Electric of Garland, Texas; Tepco Glass and Glazing of Dallas; and Lasco Acoustics & Drywall of Round Rock, Texas. HKS is project architect. Design of the buildings will make strong use of windows providing natural lighting during the day. "Each building on the campus is meant to have its own unique character in terms of tone and texture of material," DeBoever said. "The building is primarily concrete. The color of the precast concrete walls was selected from aggregates that are local to the area and fit within the color tones of the existing neighborhood." The buildings will be accented with natural materials including wood and limestone, which help reinforce their connection to the natural landscape. A landscaped space under the breezeway will provide shelter to shield visitors from the elements, intentionally designed to work with natural light, wind and temperature patterns. "Studies of light and noise at the site helped inform decisions on site placement, orientation and materials," DeBoever said. Heavy equipment includes two cranes on site and multiple delivery trucks that are busy coming and going each day. About 50,760 cu. yds. of concrete will be used over the course of the medical campus project. Dust and noise will be controlled during the project. Efforts also are being made to reduce dust and noise during construction of the campus. That includes erecting an 8-ft.-high masonry wall between the construction site and the existing neighbors. In addition, site fencing with wind screen was installed before work started. Construction is limited to a timeframe of 6:30 a.m. to 5 p.m. Concrete pump trucks and cement trucks were staged at a location where the building under construction could be used as a sound barrier between the trucks and nearby neighbors. The project will be environmentally sensitive. Project officials have taken green initiatives into consideration and continue to look for opportunities to be environmentally sensitive. Saving water is vital. The campus is designed to harvest condensate from the mechanical units and also capture of rainwater within a large cistern to reuse for on-site irrigation. The health care campus construction project and its ongoing operations are expected to provide significant economic impact to the Frisco area. The hospital will also serve residents of The Colony, Little Elm, Prosper, Pilot Point, Celina, Aubrey and surrounding communities.